Sling TV is one of the best cord-cutting options around. But if you're a US citizen abroad, you can't watch your Sling TV account easily. There are some ways to unblock Sling TV, however, and still watch your favorite live TV anywhere in the world. Below, we take a look at the best VPNs for Sling TV so you can unblock and access it outside of the United States. What is Sling TV? Why can’t I watch Sling TV abroad? Sling TV was first unveiled at the Consumer Electronics Show in 2015. 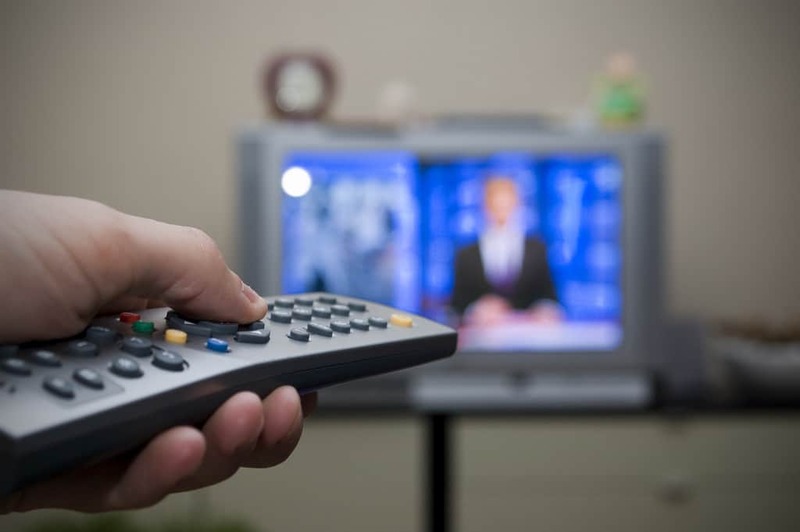 It’s tried to complement services like Netflix and Hulu by offering live channels such as BBC America, CNN, Travel Channel, and a wide range of live sports such as FOX Sports and ESPN. The service is tapping into the growing cord-cutter market, of which Hulu with Live TV, YouTube TV, PlayStation Vue, DirecTV Now and others are now a part. However, unlike Netflix, Sling TV isn’t accessible worldwide. The service is only offered to residents in the US — hence you’ll need a local IP address to sign up and stream content. It doesn’t matter whether you had originally signed up for Sling TV from the US and are now trying to watch content from another part of the world. The policy is the same. The easiest way to unblock Sling TV is by using a VPN. ExpressVPN Our first choice. Speedy and reliable servers unblock Sling TV and a host of other popular streaming services. Hard to beat on privacy and security. Includes 30-day money back guarantee. NordVPN Budget-friendly provider that doesn’t skimp on speed, security or privacy. Easy to use apps for most platforms. CyberGhost Achieved some of the best streaming speeds in our testing. A great all-rounder at a low-cost. IPVanish Performed well in terms of speed and streaming reliability. Secure and favored by Kodi users. VyprVPN Good speeds, security and streaming reliability but not the cheapest option here. How do I use a VPN to unblock Sling TV? Short for Virtual Private Network, a VPN encrypts all the traffic flowing to and from your device and tunnels it via an intermediary server of your choosing. It makes it seem like you’re accessing the web from a location outside your current city. The software also makes it very difficult for ISPs, hackers, and surveillance agencies to monitor your internet behavior. Related: How to get a US IP address with a VPN. ExpressVPN is highly-recommended because it’s a fast, efficient product that combines secure encryption protocols with a well-designed product. It’s easy to set up and doesn’t have much downtime. The company operates over 3,000 servers spread across 94 countries. There are options of 20 locations in the US although ExpressVPN doesn’t specify how many servers are situated there. Finding a suitable connection shouldn’t be a problem. If privacy is what you’re after, then you should rest easy at the fact that ExpressVPN does not store any traffic logs. There is a tiny bit of metadata retention, specifically the date (not time) of connection, choice of server location, and total bandwidth used. Your individual IP address won’t be recorded. The company is headquartered in the British Virgin Islands – which means it’s not subject to any mandatory data retention laws and out of the jurisdiction of western government agencies. ExpressVPN utilizes 256-bit AES-CBC as its default encryption protocol as well as both HMAC authentication and perfect forward secrecy. There’s an internet kill switch included, which the company refers to as a ‘network lock’. This feature temporarily halts all web traffic if the connection drops. If you’re looking for other use cases, then you’ll be happy to know that Express is also able to unlock content on Netflix. It’s similarly compatible with both Hulu and BBC iPlayer. There are apps for both Android and iOS which makes it possible to stream Sling TV directly on your phone outside the US. Desktop support for Windows and MacOS is also included. BEST VPN FOR SLING TV:ExpressVPN is our top choice. A super fast and reliable choice which unblocks Sling TV and all major streaming services including Netflix & Hulu. Great for streaming in HD. Top privacy and security features and it keeps no logs. Try it risk-free with the 30-day money back guarantee. NordVPN is another premium VPN service and has been around for over a decade – a testament to the solid product it offers. It’s similar to IPVanish in the sense that it offers a true zero-logs policy – there’s no retention of information related to user sessions, traffic, or timestamps. The company operates 5,111 servers in 60 countries – over 1,700 of these located in the United States. You can also pick one specifically for video streaming – Nord is one of the rare VPN companies that bifurcates servers according to their specialties. The service is able to skirt the Netflix VPN ban, as well as unlocking content from both Hulu and BBC iPlayer. Encryption standards won’t let you down. The company deploys the 256-bit AES protocol by default coupled with 2,048-bit SSL keys. DNS leak protection is enabled. BEST BUDGET VPN:NordVPN is a good value choice. A great value option which works reliably with Sling TV and most popular streaming sites. Connects up to 6 devices simultaneously. App doesn’t offer server switching choice. 30-day money back guarantee. There are over 3,700 servers spread across the world, with more than 742 of which are in the United States, so accessing Sling TV shouldn’t be a problem. The VPN service doesn’t work with Netflix but is compatible with BBC iPlayer. As for encryption standards, CyberGhost uses 256-bit AES encryption on the OpenVPN protocol by default along with 2,048-bit RSA keys and MD5 HMAC authentication. There’s an internet kill switch included. BEGINNERS' CHOICE:CyberGhost is easy to use. A budget choice for Sling TV. Good on privacy. Streams HD video reliably. Hit and miss connections with popular streaming sites. 45-day money back guarantee. IPVanish is headquartered in the US and satisfies all the requirements when it comes to a speedy, robust VPN that won’t compromise your privacy. It has a policy of not storing any data at all – there’s only a tiny sliver when an account is registered for the first time. After that, there are no details of timestamps, server preferences, or bandwidth utilized. IPVanish ranks well for streaming video as it offers servers that are optimized for speed, stability, and security. Globally it operates over 1,300 servers with a colossal 650 present in the US alone. Encryption standards are pretty good. It uses 256-bit encryption on the OpenVPN protocol by default, SHA512 authentication, and a DHE-RSA 2,048-bit key exchange with perfect forward secrecy. The latter feature means that in the unlikely scenario that your account is compromised, hackers still won’t be able to glean information from past web sessions. An internet kill switch is included by default. IPVanish doesn’t unlock geo-restricted content on Netflix or Hulu, but does so easily for BBC iPlayer. UP TO 10 DEVICES:IPVanish has a large network of servers and handles multiple connections well. Easy to use and preferred by users who need high standards of privacy. Handles Sling TV but can’t unblock as many streaming services as some of its rivals. 7-day money-back guarantee. However, the company stores all information for 30 days to use for troubleshooting purposes. There are no reported cases of data falling into the wrong hands. The company manages its own entire data centers – as opposed to renting from third-party providers. All connections are encrypted by the OpenVPN protocol, 256-bit AES encryption, 2,048-bit RSA keys without perfect forward secrecy, and SHA256 authentication. For an added fee, users can avail the Chameleon ™ protocol, which further obfuscates your connection and making it even more difficult for your ISP to figure out that you’re using a VPN. There are over 700 servers spread across the globe with 8 locations in the US. EASY TO USE:VyprVPN is user friendly. Works well with Sling TV and most popular streaming services. Good performer in our tests but a bit pricey. 30-day money-back guarantee. Should I use a free VPN to unlock Sling TV? Free VPNs are available on the interwebs and present themselves as an attractive option. That’s because users ordinarily don’t have to sign up with a credit card. But if you opt for them, you’ll be susceptible to weak encryption and the real threat of data loss. At the same time, there will be data caps, bandwidth throttling, and a minute selection of servers. There have been several instances of free VPNs illegally mining and selling user data. We don’t recommend them. Israel-based Hola doesn’t rent physical servers like most VPN services, but functions as a peer-to-peer service – leveraging idle user bandwidth. At one point the company had a massive user base of almost 50 million. It opted to utilize a part of each users’ bandwidth to create a massive botnet and then engage in Distributed Denial of Service attacks on other sites. Hotspot Shield rocked the VPN community after they allegedly injected tracking cookies into users’ browsers, harvesting the data, and selling it to advertisers. Observers believe the company also forcefully diverted HTTP requests to affiliate sites, where it could earn a profit. If you’d like to stream Sling TV on your PC, Macbook, or smartphone then all you need to do is sign up for a VPN, log in to the companion app or desktop client, connect to a server in the US, and use Sling TV normally. We recommend that you clear your cookies first before following these steps – this will help remove old location identifiers. These devices don’t come with inbuilt support for VPN apps — meaning there’s no native software that’ll do the trick. To set it up we recommend leveraging the VPN on a virtual router. This is possible because most PCs that can connect to wifi are also capable of broadcasting their own wifi signals — similar to how smartphones set up mobile wifi hotspots. Read our tutorials on how to set up a VPN on a virtual router for Windows and Mac devices. Can I watch live sports and bypass regional blackouts with Sling TV? A regional blackout refers to the situation where a live game — MLB for example — is available in some states in the US but not all. That’s because executives play around with broadcasting rights for each game. Some may go to Fox and NBC but not ABC for instance. In this situation, the content rights holders determine a blackout ‚region‘. Usually, it correlates to the IP addresses closest to the teams that are currently playing. So if you’re a Chicago Cubs fan it’s likely that a home game won’t be available for live streaming. To overcome this problem all you need to do is sign up for a VPN and select a server in the US but outside of the blackout region. Our guide to overcoming MLB blackouts will help provide further clarity. 1 What is Sling TV? Why can’t I watch Sling TV abroad? 2 How do I use a VPN to unblock Sling TV? 14 Should I use a free VPN to unlock Sling TV? 16 What do I do next after signing up for a VPN? 17 Can I watch live sports and bypass regional blackouts with Sling TV? 9 Should I use a free VPN to unlock Sling TV? 11 What do I do next after signing up for a VPN? 12 Can I watch live sports and bypass regional blackouts with Sling TV?